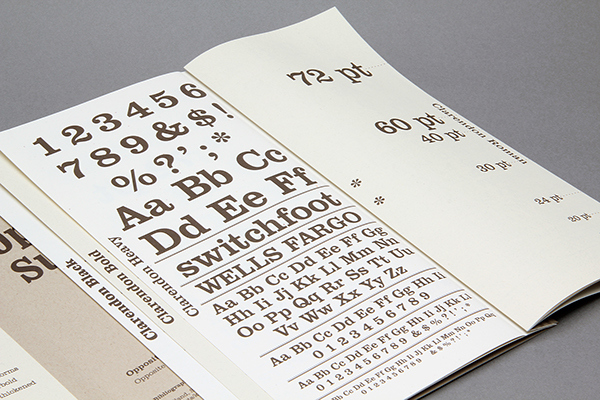 The brief was to develop a type specimen for a classic typeface. 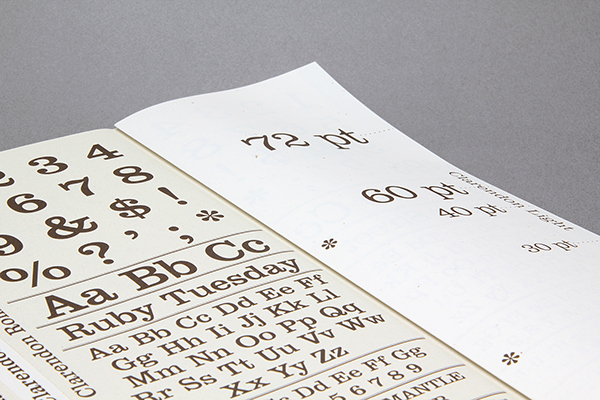 The type specimen was able to be in any form yet it had to be informed by our research and perform its duty in clearly demonstrating the various weights of the typeface. 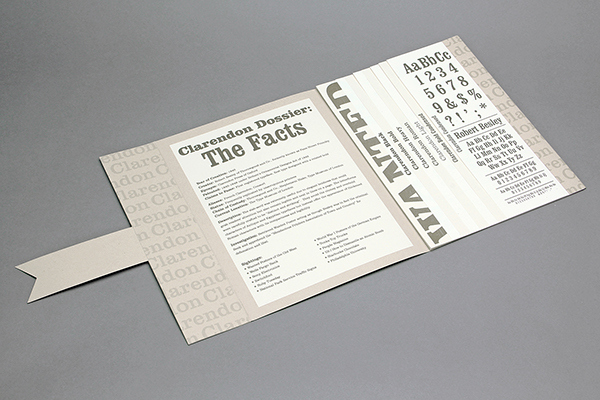 I was assigned the typeface Clarendon, a classic slab-serif. 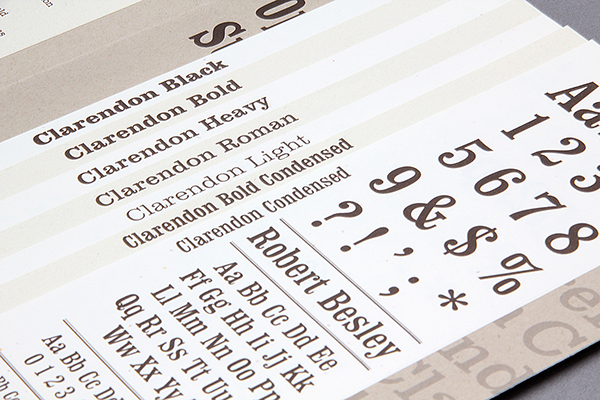 Clarendon was designed by Englishman Robert Besley in 1845 and due to its popularity he patented the typeface. Unfortunately, the patent only lasted 3 years and other foundries were quick to copy it. 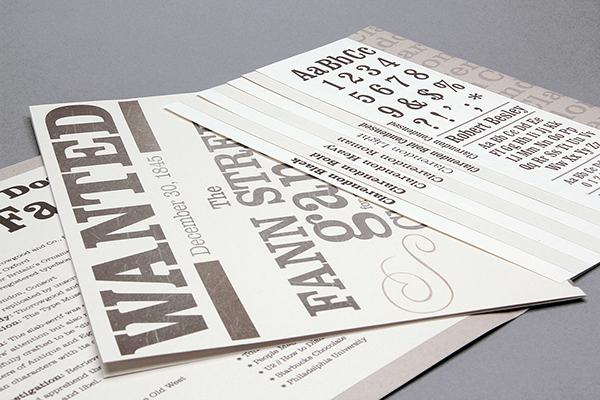 The type was very popular in the American Old West where it was widely used in wanted posters. By taking this research into account, I developed a Western sheriff’s dossier. 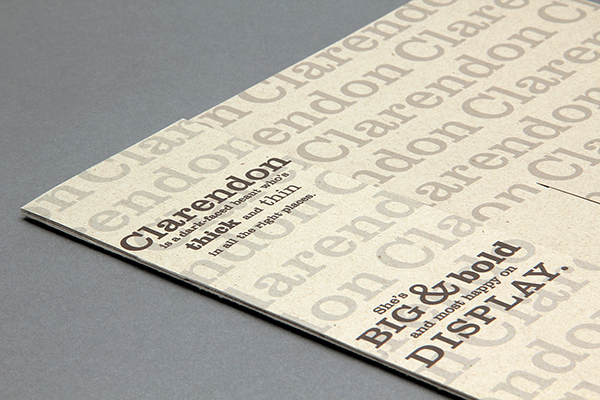 The folio includes the history behind Clarendon as though they were details of a police investigation, places of usage are listed as sightings. 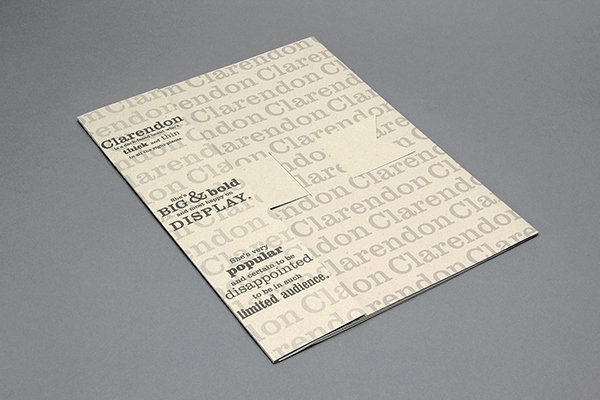 Opposite of the investigation details are flaps showing the different weights of Clarendon. 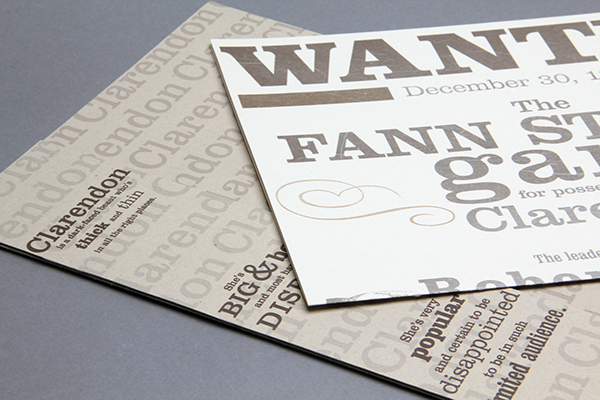 Along with the typical type specimen copy are real logos and branding that use Clarendon. 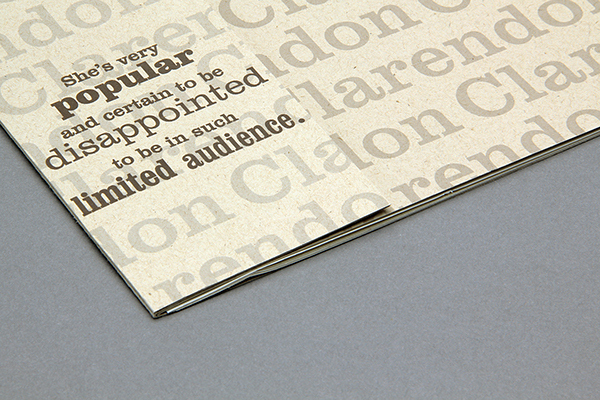 Tucked beneath the flaps is a satirical wanted poster, created from the perspective of the dishonest printers who wanted to use the patented Clarendon typeface. 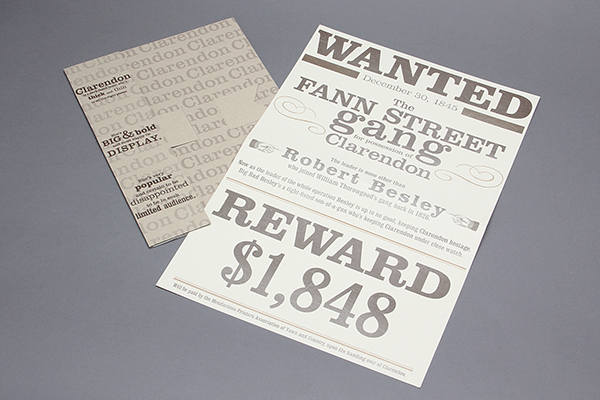 In good old Western style, they put out a wanted poster for Robert Besley and his gang, saying they’re keeping Clarendon hostage. All together, the project resulted in something functional and fun.